... day yesterday at St. Edward's Hall because what was lost has been been found. After a hiatus, our beloved Flounge stapler returned to its station atop the trash can next to the printer. Where did it go? Who knows. Why did it return all of asudden? Who cares. All that matters is our stapler has returned. Still, important to note is that our old fashion is slightly damaged to the point where it will have to be retired. But have no fear, there is another stapler taking up the post, and we are confident that it will serve us well. 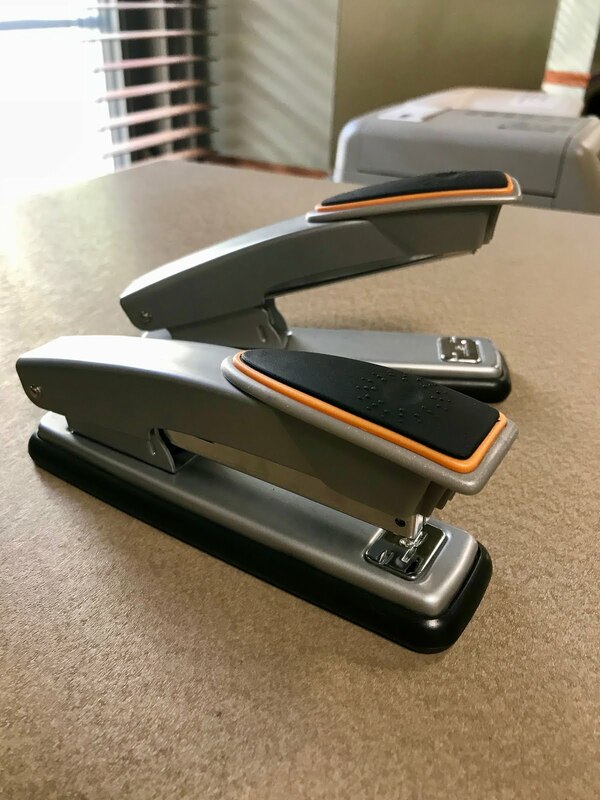 On the stapler's return and retirement, Matt Lupo, Steds senior, said, "We can all breathe a sigh of relief. Plus, another relief is knowing, as Fr. Ralph said, that our old friend is going to a farm up state and enjoy the company of other retired staplers."